Susan Lyles is the founder of the Denver, Colorado based not-for-profit, And Toto too Theatre Company. The inspiration for the company had been cultivated throughout her acting career, which began during her teenage years. Prior to creating And Toto too, Susan signed with Farrell Talent Management in 2001, providing her inroads where she appeared in several national commercials, industrials and local productions such as: Seuss, Seuss, Seuss with Memory Productions, The Food Chain with the Theatre Group and Accomplice with Conundrum State Productions. Before relocating to Denver, Susan spent many years acting for the Wichita Center for the Arts, Wichita Community Theatre, The Wichita Summer Theatre and spent four years as a Selma Miller Theatre Scholar. Susan's Wichita credit includes: Rita in Pump Boys and Dinettes, Iphigenia in The Greeks and Popeye in the Miss Fire Cracker Contest, for which she was nominated for an Irene Ryan Scholarship Award providing recognition, honor and financial assistance to outstanding student performers wishing to pursue further education. During her acting career, Susan spent six years in Chicago where she produced her first shows under the name of And Toto too. Susan has produced two original one acts that ran for four weeks and was produced for a budget of $330. To pay the bills, Susan worked for LaSalle National Bank, part of the ABN AMRO Banking Network, where she managed multi-million dollar accounts, affording her the necessary finance and business experience. Susan graduated from Wichita State University with a BA in Speech Communications with an emphasis in Theatre Performance and was a board member and director with MJM Productions. Additional credits include the 1980's teen slasher film, Night Screams, Casting Antigone and Uncovering the Truth about Jesus. Susan also studied at the prestigious London Academy of Music and Dramatic Art. She is also the producer and owner of Ruff, Ruff Dog Productions, LLC an award winning film production company whose films include, Blameless, Susy McPhail; Adventures in Real Estate, Somewhere around the Corner, and Hytte. Darren serves as president as well as technical director for And Toto too, Darren is responsible for the technical operations of the theater, determining technical staffing and equipment requirements for productions, and acts as the central coordinating point for the designers, the stage management team, the craftspeople, etc. – throughout each production. With more than 30 years of experience both on-stage and in almost every capacity behind the scenes, Darren brings a wealth of ideas and best practices to And Toto too. Darren is not, despite what a 'vanity search' on the internet may lead you to believe, an editor and writer specializing in travel directories and feature magazine stories, an Australian rugby league player, the 1997 World Irish Dancing Champion, a football player for the Grand Valley State University Lakers, a new age composer living in Texas, or a Christian comedian and illusionist. He lives in Denver with his wife, sons, and their two dogs, and is also the co-founder of the leading B2B customer reference company Point of Reference. Michelle Otanez has worked with And Toto too Theatre Company as a graphic designer since 2010. In 2016, Michelle joined the board and continues to assist with creative design work for And Toto too. As a board member, she is a firm believer in arts-based projects that convey meaning and communicate ideas in thoughtful ways. She values the connection between personal meaning and external context, drawing on her cross-cultural competencies developed through her university training and travels to Nigeria, Malawi, the Netherlands, Italy and Ecuador. Originally from the San Francisco Bay Area, Michelle completed a baccalaureate degree in Fine Art at San Francisco State University, with an emphasis in painting and drawing. In 2008 she moved to Denver where she lives with her husband and sons Declan (age 12) and Wole (age 10). A California native, Bettina graduated from Chapman University in Southern California in 2015 with a degree in Theatre Studies. Before settling in Denver in early 2017 to purse a career in theatre, she spent time traveling and doing work exchange around California, Iceland, England, and Ireland. Bettina spends her days working as the Operations Manager for Atlas Geotechnical, a geotechnical engineering company where she runs the internal aspects of the business, while she simultaneously pursues opportunities in theatre. A passionate director and dramaturg, Bettina has a special interest in new play development, and theatre that helps us question ourselves and understand others. At And Toto too, Bettina helps read and filter scripts submissions. Anita is a practicing attorney in Denver with a passion for the arts. 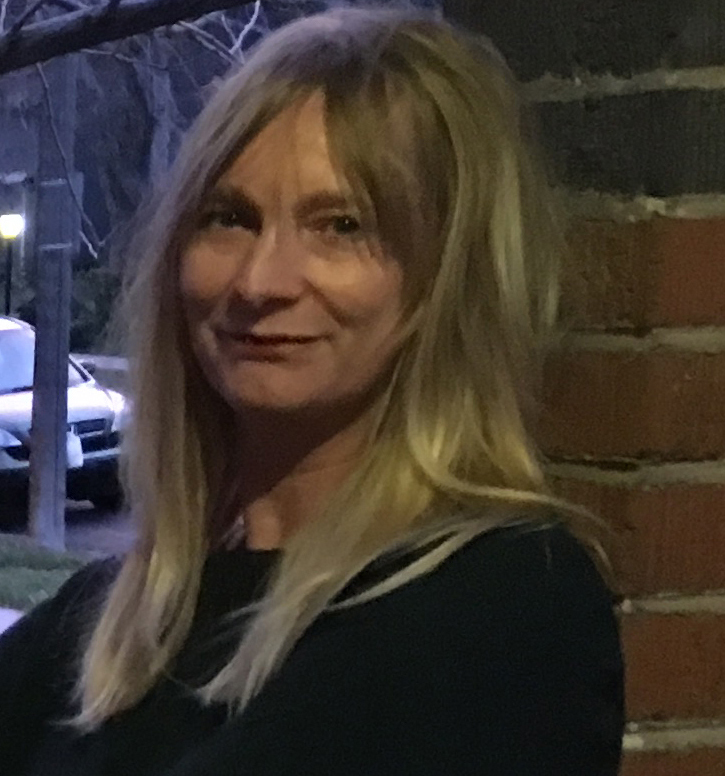 Anita joined the Board in 2018 in an effort to spread the word about, and better support, Colorado's leading theatre company dedicated to producing works by female playwrights. Although she's not a professional performer, Anita likes to play one as an active member of the Law Club of Denver. The Law Club is a volunteer group of creative lawyers that puts on the annual Ethics Review - a continuing legal education show where the members sing, dance, act, joke and get their creative on at the Clocktower Cabaret. Anita also works with And Toto too's sister company, Ruff, Ruff Dog Productions, serving as a writer, script supervisor, and production assistant. Anita lives in Denver with her two teenagers - one of whom is a professional performer - the other is a dedicated visual art student at the Denver School of the Arts.